On January 6, the Nigerian security services raided the offices of one of Nigeria’s largest circulation newspapers, apparently angry at its published reports about upcoming army operations against a Boko Haram faction, the Islamic State West Africa (ISWA). 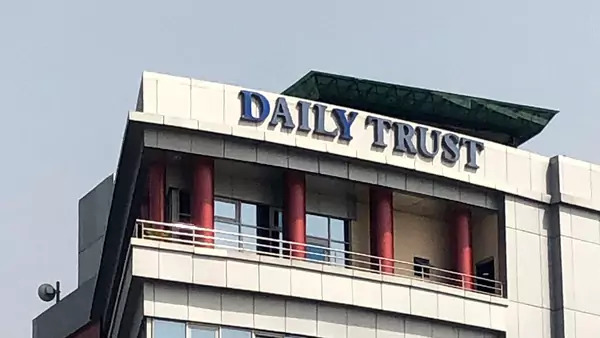 According to a statement released on Sunday by Manni Dan-Ali, the CEO and editor-in-chief of Daily Trust, and a subsequent statement from the military released on Monday, Nigerian security services entered the main Abuja office of Media Trust Limited, the paper’s publisher, and its regional offices in Maiduguri, Lagos, and Kaduna. The security services took into custody Maiduguri bureau chief, Uthman Abubakar, and several journalists. Abubakar and at least some of the journalists have since been released, but the security services have retained the mobile phones and computers they confiscated during the raid. The military was also reportedly seeking information on the whereabouts of other journalists involved in the publication of the January 6 story as well as a prior publication from December 31 that reported on the initial ISWA capture of towns in the north. There has been an upsurge in Boko Haram activity in northeast Nigeria. As recently as January 8, Nigerian media reported that Boko Haram had killed three, including an Islamic cleric, and that hundreds are feeling from multiple attacks. President Buhari campaigned in 2015 on a platform of restoring Nigerian security and destroying Boko Haram. Boko Haram’s continued vitality is an liability as President Buhari seeks reelection in February. Nevertheless, the Daily Trust has the largest circulation in Northern Nigeria and it is one of the leading newspapers in the country. The president would see the political negatives in the army moving against a respected newspaper, and he ordered the withdrawal from its premises. For its part, the army is frustrated by its failure to destroy Boko Haram, and there is anger at the press coverage it receives. The military's claim that it had no intention of “muzzling the press,” made in response to the Daily Trust raid and arrests, lacks credibility. It is unclear who, exactly, ordered the security services to move against the newspaper. The president’s quick move to end the occupation of the newspaper’s facilities raises the question of whether the military was moving without the prior consent of the Buhari administration. This would not be the first time such questions were raised.